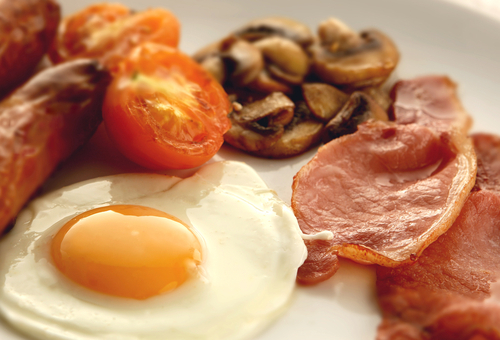 Our Breakfast Pack is specially selected by our master butcher to give you a fantastic weekend treat. The breakfast pack is our very own breakfast invention and contains our amazing breakfast burger made of beef & bacon and our very special back bacon with rind on just like yesteryear. The bacon is made from organic pork and cured in dry salts and is amazingly soft. You will certainly be set up for the weekend. TOP TIP: If serving 4 why not use the 2 other eggs to make some ‘eggy bread’ just beat eggs with a little milk, salt & pepper and to add a bit more spice you could add a few chilli flakes!